I was very pleased when the editor of Crafts Magazine contacted me to commission a review of Ellen Sampson’s current exhibition at Northampton Gallery. Sampson is a shoe designer and and is also over half way through a PhD at the RCA where she is exploring the affective life of shoes. 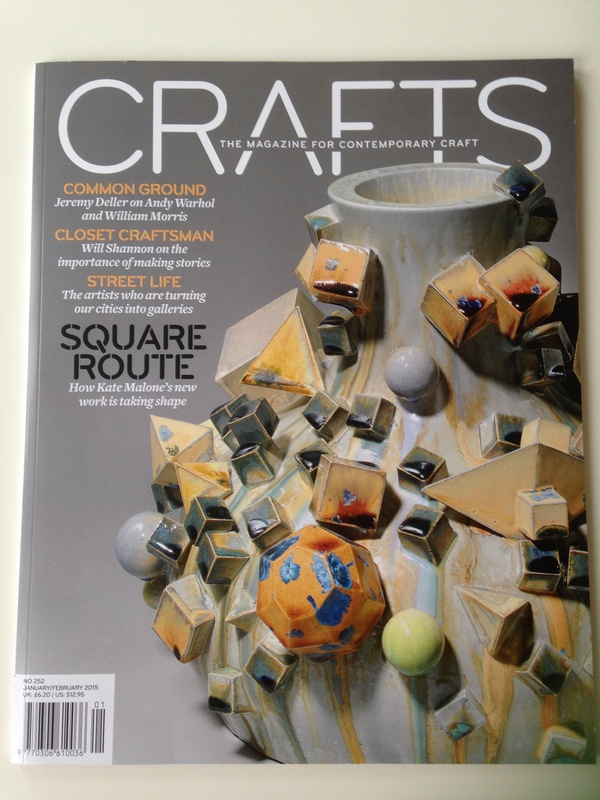 My review is published in the January – February issue of Crafts Magazine, 2015. My copy of the magazine arrived on New Years eve: 2015 has got off to a good start. 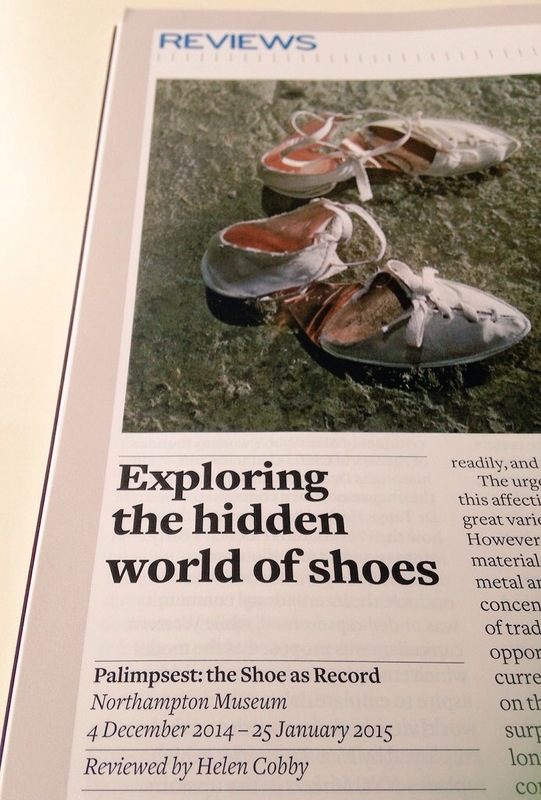 See my earlier blog post about the first writing commission that I received from my favourite crafts magazine, which is attached to Crafts Council. This entry was posted in Art criticism & journalism, Art gallery, Craft, Exhibitions and tagged Art, Art Gallery, Commission, Craft, Crafts Magazine, Design, Ellen Sampson, Museum, Northampton, Northampton Museum, RCA, Review, Shoe designer, Shoes, Writing by helencobby. Bookmark the permalink.